A mysterious Redditor going by the alias “20141220” claims that tonight, at 10:50 PM EST, a massive solar event will result in the world losing all power for several years. The end of the world will come at 11/10 Central, or likely won’t, since this is just some random, sub-NoSleep Reddit hoax. Or IS IT? (It is not). Posted in Apocalypse, Reddit, Yet Another Predicted Apocalypse on April 30, 2015 by Ellen Edwards. I have long chronicled the absurdities of the conspiracy theorist movement here on the Space Lizard Report. I’ve covered 9/11 truthers who think a viral ad is real, blurry bald people being mistaken for alien Voldemorts, and a very, very high Youtuber who believes every war is a hoax. I’ve looked at people who think feminism is a conspiracy and the delusional nerds of GamerGate, who see everything as feminist “censorship” of video games. How the Moon is a hologram. And also whatever the hell this is. Yet last night I realized a terrible truth. Everything these people said was true. Only I realize the truth. For you see, I am the Son of the Godhead. And reptilians rule the world. They’ve taken over all world leaders. The Queen of England. Barack Obama. Zlatan Ibrahimović. They control the media, but I’d like to reassure you that it’s not a racist thing. My followers may make it a racist thing, but to me it’s just reptilians. Horrible reptilians. Posted in Could It Be Aliens? 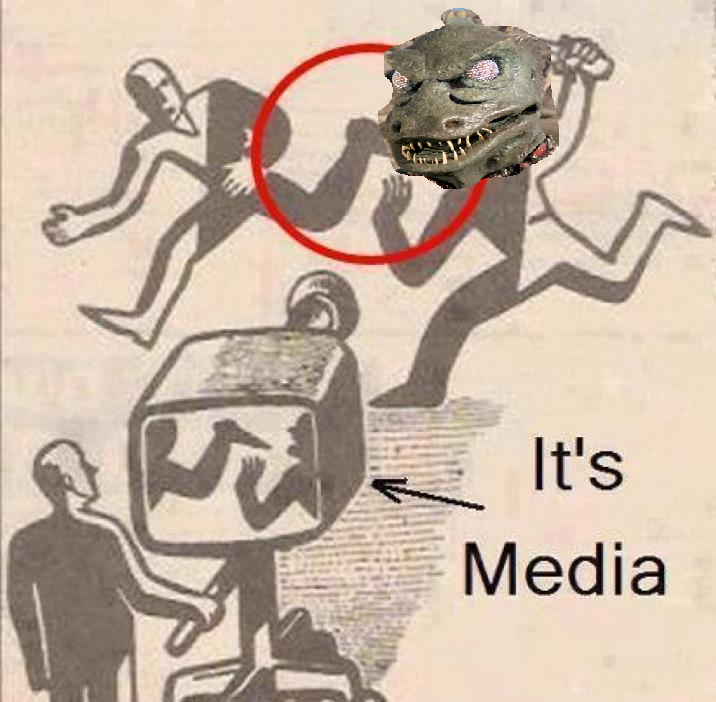 It's Aliens, Incredible Imagery, Photoshop Filter Abuse, Satire, Space Lizards, The Visitors Are Our Friends and tagged april fool's day, david icke, reptilians on April 1, 2015 by Ellen Edwards.